One of the hardest things to do is to treat birds. It does not help when they are wild and scared. A local citizen found an eagle with a broken wing near the highway and brought it to our clinic. Joe mended the eagles wing and then turned it over to the conservation department for release. 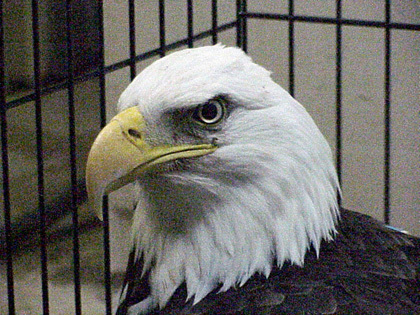 This is one of the few eagles to be treated successfully. The vets have successfully treated various other exotic and non native animals both at the clinic and on farms. If you have an exotic animal needing treatment, Joe's long term Vet career and Mikael's recent education make them a great team to treat your pet or farm animal. 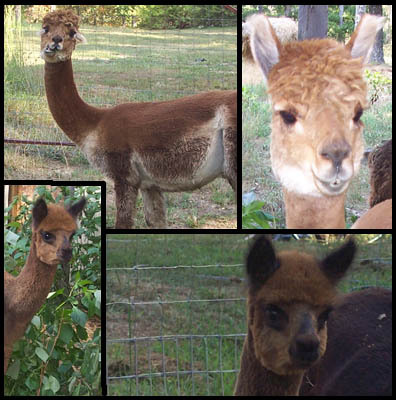 Here is a collage of pictures of alpacas from one of the clinic's clients.